Local Historian and Society member Jim Bell has completed the mammoth task of bringing his collection of articles from local newspapers up to the end of the 20th Century and has kindly allowed us to reproduce his work as an eBook, Wokingham in the News 1858-1999, on the Society’s website at www.wokinghamsociety.org.uk/Wokingham_in_the_News.html. From left to right: Paul King, editor of Late Victorian Wokingham; John Griffin Society Hon. 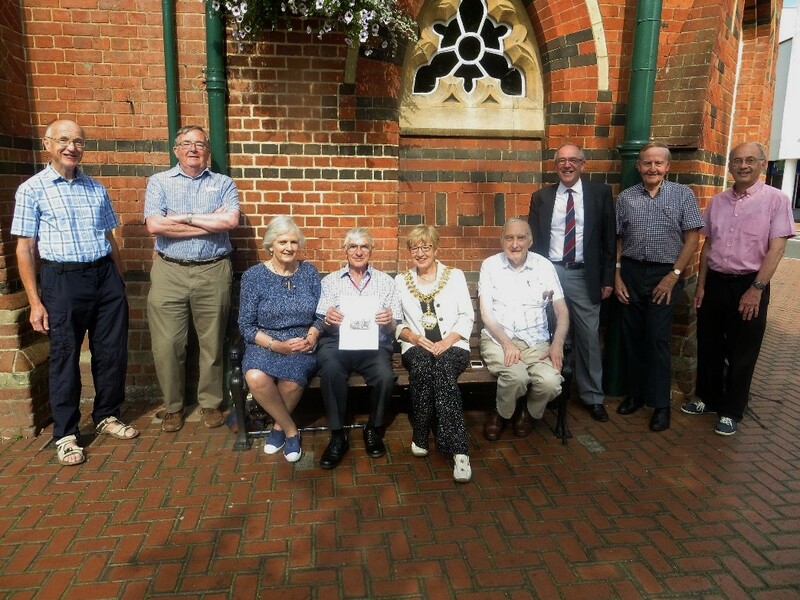 Secretary; Lady Elizabeth Godsal, Society President; Jim Bell, Councillor Gwynneth Hewtetson, Mayor of Wokingham, Bob Wyatt, Town Councillor and author of Wokingham through Old Photographs, Peter Must Society Chairman; David Matthews and Keith Malvern, Society Committee members.